Kayin State provides the variety of a mountainous terrain amidst the beaches and seas of Southern Myanmar. The state is encircled by karst limestone peaks that soar above the lush green paddy fields. Interspersed with incredible caves, Kayin offers a stunning view of the western mountainous area of Myanmar. Hpa-An is the capital city of Kayin state. The city itself is beautiful, surrounded with limestone peaks on all sides. A typical Kayin landscape is characterized by lush green farms which make way to lush green mountains. Kayin is famous for its tea and coffee production. Tourists have a lot to explore in Kayin State including Mt. Zwekabin, Lumbini Garden, Thandaung, Sadan Cave and other things. From lively festivals to cultural dance shows, tourists will be pampered by the range of things Kayin has to offer. 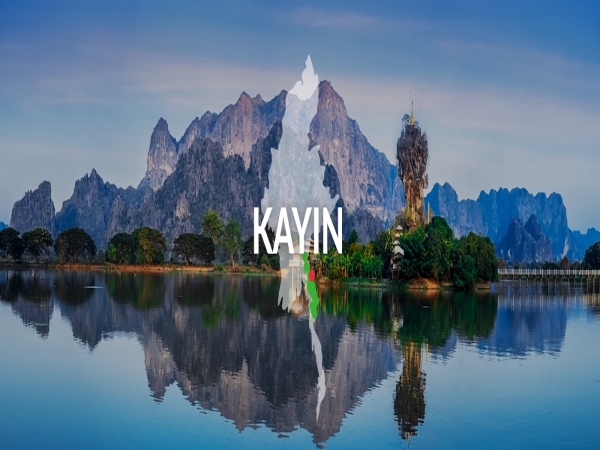 Origin: Kayin has people from Karen, Padaung, Bamar, Shan, Pa-O, Mon, Rakhine and Burmese-Thai lineages. Most people speak Kayin, Bamar and Mon languages and follow Buddhism, Christianity, Islam, Hinduism and animism. Geography: With a total area of 12,296.6 sq km/ 4,747.7 sq. miles, Kayin is bordered by Thailand, Mon State, Bago Region, Mandalay Region, Shan State and Kayah State and has a hot and humid climate. Interesting facts: Hpa-An is the capital of Kayin State. The state is characterised by mysterious caves, lush green farms and limestone hills. 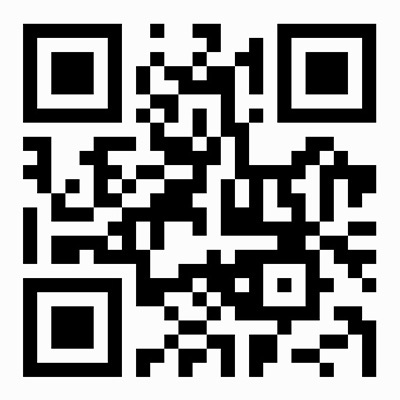 Currently, around 1.57 million (2014) live in Kayin State. Kayin is home to some of the most thrilling caves of Myanmar. The two most famous caves are Bayint Nyi cave and Kawgun Cave. Located around 19 km from Hpa An, Bayin Nyi Cave is 900 years old and has around 28 images of Buddha. Kawgun Cave is located around 13 km south of Hpa An on the western side of the Thanlwin river. It is a natural limestone cave which is decorated with various kinds of Buddha images and tablets which date back to the 7th century. Yathae Pyan Cave is another natural limestone cave located near the Hpa Kut village which is also stunning. It contains Buddha images of different sizes, some of which date back to 13th century AD. A cave located about 1 km from Hpa An is Kawkathaung which contains 28 images of Buddha in a row. Every year, a pagoda festival is held in this cave on the 2nd and 3rd days of the Myanmar New Year Festival Thingyan. With a combination of hills, farmlands, rivers and forests, Kachin State presents stunning scenic views to a visitor. The state is characterised with scenic spots where visitors can spend some quality time exploring nature. Mt. Zwegabin rising up to 722 metres above sea level is an excellent place to enjoy a nature hike. Lumbini Garden on the western side of Mt, Zwegabin is the most popular place to start the ascent. It is home to 1100 Buddha statues. The view from the top of the hill is stunning. Another place to visit and enjoy the closeness to nature is Kyone Htaw waterfall near the town of Hlaing Bwe. It is encircled with pristine forest and has fascinated thousands of tourists over the years. The best part of this waterfall is the green coloured water which leaves tourists awestruck. Kayin also have large and small cities where tourist can enjoy city life and also get a glimpse of the local people life. Hpa An is a town with stunning views of the mountain. The locals are warm and welcome tourists with open arms. Tourists can visit the local morning market to get some of the freshest and best products of the region. They can also buy souvenirs here. Myawaddy is a town in the Thai border which deserves a visit. A newly constructed road connects Myawaddy with the rest of Myanmar. The road passes through the beautiful Dawna mountain making a road trip worthwhile. Tourists looking forward to escaping the hot and humid weather can head to Thandaung, a hill station built during colonial times. Exhibiting colonial architecture, Thandaung is famous for tea, coffee and fruit production. Bayin Nyi Cave is located on the western bank of Thanlwin River. The steps leading up to the cave has 28 Buddha images on the hillside. The cave has an ancient pagoda and innumerable Buddha statues in a variety of colours and plenty of lateritious bricks. At the foot of the hill, there is a natural hot spring and a cold spring which are ideal to enjoy a swim. Yathae Pyan Cave This is one of the natural limestone caves and is situated around 14 km away from Hpa An. The cave is located at a height of 50 metres from the foothill. It contains votive tablets and Buddha images of different sizes which date back to 13th Century AD. There is a natural pool of holy water behind the reclining Buddha statue. Kawgun Cave Located around 13 km south of Hpa An, Kawgun Cave is a natural limestone cave 61 metres high and 91 metres long. The surface of the rock is decorated with different kinds of clay Buddha images and votive tablets of 7th Century artwork depicting Buddha in different sizes and postures. The statues and wall carvings are in excellent conditions. Kawkathaung Cave is located around 1 km south of Hpa An. It is semicircular in shape with a width of 30 metres. The cave has 28 images of Buddha in the row on both sides of the entrance. This stunning cave has innumerable stalactites and stalagmites presenting a breathtaking view to visitors. Sadan cave is located at the southernmost part of Zwekabin mountain range, on the eastern bank of Thanlwin river, around 32 km from Hpa An. It has a two-sided mouth in a rectangular shape with is 107 metres long and 10 metres high. It is a walkthrough cave hosting dozens of Buddha statues, a couple of pagodas and some newer day wall carvings. Shwe Yin Myaw Pagoda is located on the eastern bank of Thanlwin in Hpa-An and is a favourite spot for tourists to watch the stunning sunset. The compound is home to statues of a dragon and a giant frog, who according to legend created the city. The pagoda has a viewing tower located by the side of the river. Mt. Zwegabin at 722 metres height is one of the most sacred mountains in Myanmar. Although the 2-hour climb to the top is steep, the effort is rewarded by the fabulous views from Kayin’s most famous landmark. Visitors who wish to enjoy the sunset can spend the night in the monastery atop the mountain. Thousands of large statues of Buddha can be seen at the foot of the mountain. Kyauk Kaalap a pagoda perched on the summit of a sheer rock is one of the most stunning sights of Kayin. The pagoda overlooks an artificial lake and is topped with a golden stupa. Tourists can spend time marvelling at the unspoiled natural surrounding of the pagoda. Sometimes, the still water of the lake reflects back a mirror image of the pagoda, a view which can hardly be forgotten. Kyone Htaw Waterfall The naturally green coloured water of Kyone Htaw waterfall is another attraction of Kayin which cannot be missed. The waterfall is located next to Htiklawtho, near the town of Hlaing Bwe. The waterfall is encircled by a pristine forest ideal to enjoy nature in its true form. The best time to visit this waterfall is during the dry season. Thaundaung was developed as a hill station during colonial times by the British. It is a beautiful hill station important for coffee, tea and fruit production. It is quaint hill town offering few days of peace to visitors. Tourists can relax, unwind and enjoy the greenery of the surrounding area. The view of sunrise between the hills is a memorable one. Myawaddy is a town on the Thai border which is connected with the rest of the country through a newly constructed road which. passes through the scenic Dawna mountain ranges. Myawaddy is an important town since it is one of the entry points to Myanmar through Thailand. A Friendship Bridge at Myawaddy marks the connection between Thailand and Myanmar. Kayin New Year: The Kayin new year is celebrated on the new moon day of the lunar month Pya-tho. 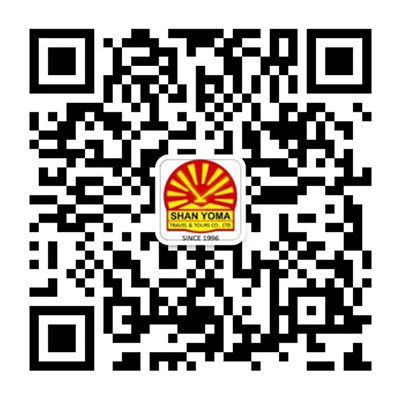 People gather together and perform the Don with great ceremony. Frog drums and buffalo horns are played for jubilation. Waso Full Moon Festival: This festival is celebrated in the Myanmar month of Waso which falls at the beginning of the monsoon rains and Buddhist Lent. Since monks are prohibited to travel overnight from their monasteries, yet are expected to perform their duties, they need spare robes. This festival is celebrated to offer robes to monks to use during the wet season. Thadingyut Light Festival: Around the full moon day of Thadngyut, this festival is celebrated for 3 days throughout the country to commemorate the time when Buddha returned to earth after preaching in the above of celestials. People decorate their houses with candles and coloured lanterns to symbolize this event. The festival of Light marks the end of Lent.